Welcome to the Delta-Mendota Subbasin Sustainable Groundwater Management Act website, a shared resource for all 24 Groundwater Sustainability Agencies (GSAs) in the Delta-Mendota Subbasin. This website is dedicated to providing information on activities, meetings and resources related to the sustainable management of the Delta-Mendota Subbasin. 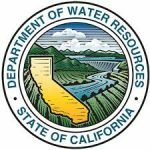 This website provides information on sustainable groundwater management activities, meetings and resources in the Delta-Mendota Subbasin. 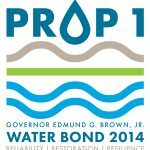 The Sustainable Groundwater Management Act, passed in 2014, requires the formation of local Groundwater Sustainability Agencies (GSAs) to oversee the development and implementation of Groundwater Sustainability Plans (GSPs), with the ultimate goal of achieving sustainable management of the State’s groundwater basins. As of June 2017, 24 GSAs have formed in the Delta-Mendota Subbasin. These GSAs have until January 31, 2020 to develop and adopt one or more GSPs for the Delta-Mendota Subbasin.